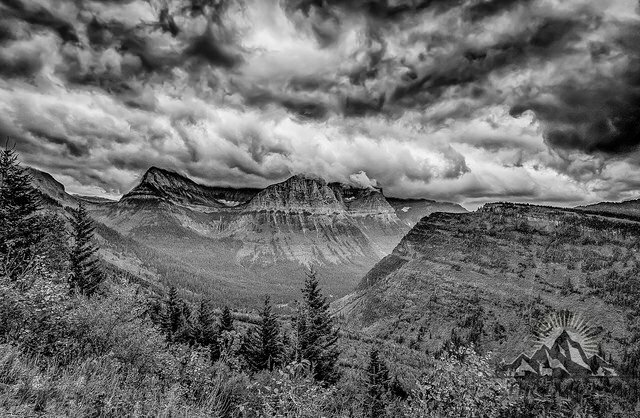 Foto Friday - Glacier Valley under the clouds - Eric D. Brown, D.Sc. This is another capture from our trip to Glacier. A few of the days we were there, the area was covered with either smoke or clouds, which made it difficult to get a good photograph. That said, this Black & White turned out nicely.